I have been extremely busy the last few weeks with exams and other career tests for my job! I am now happy to have completed that tough stage and can now get back to blogging again! I love receiving parcels and packages in the post and find it exciting opening them! Recently I was going on a night out with some colleagues to celebrate our success of passing our exams! I wanted to wear something not too dressy and revealing but something nice and different. When buying online you are never sure what the product is going to look like on! It looks great on the models but could end up looking tragically bad on us!! I took the gamble only buying the outfit a few days before I needed to wear it! 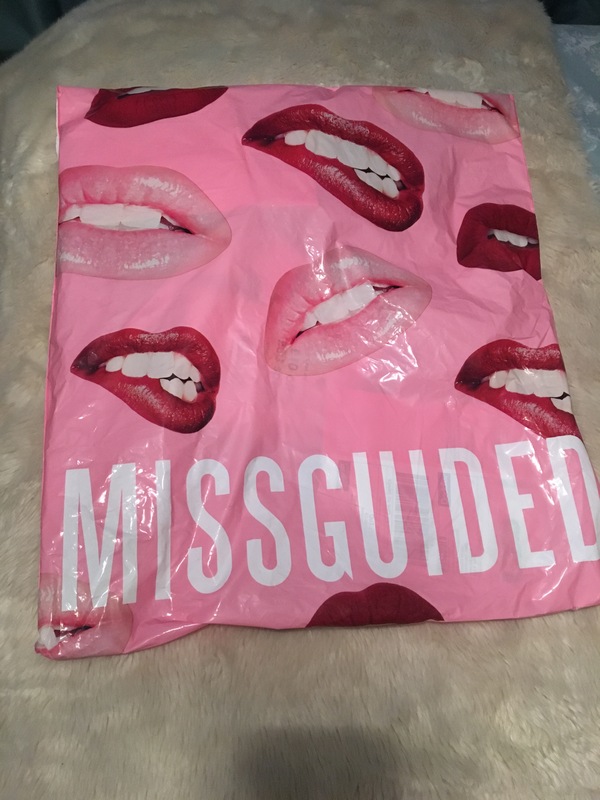 Miss guided has a wide range of clothing and I guarantee there is at least something on their website you will like! They have recently started opening stores in the UK! I have yet to go in one!! That could be a worrying day for my bank balance! A jumpsuit was the perfect option! It showed classy sophistication with the dressed up look I wanted! I had my legs covered as a night out in beginning of March is still pretty cold! I loved the back detail on this jumpsuit! It was so comfy to wear too! It had the perfect amount of stretch in the material and the tie at the back is near enough impossible to come undone. The only downside to this outfit is, don’t even bother trying to go to the loo on your own! It is really difficult to get out of and then back on just for that quick pee break! If you feel yourself needing the loo then make sure you give yourself plenty of time before hand as trying to get out of this in a hurry will not work and could potentially add to one of the most embarrassing moments of your life! This jumpsuit looks very nice and stylish! It’s beautiful. I’m glad it looked good on you too!